Most people are unaware that the planets Venus and Jupiter are the brightest objects in the sky after the Sun and Moon, and brighter than any stars in the sky. Every so often, these bright planets line up in the evening sky, making a beautiful sight. However, on July 1, 2015, there will be a very close conjunction of these bodies, within less than one lunar diameter! But that’s not all! Due to a very rare convergence of their orbits, Venus and Jupiter will be sticking close together in the evening sky throughout the entire month of July! These two brightest “stars” will hover together in the western sky for several weeks, being an ongoing sky event! Start following this alignment now! 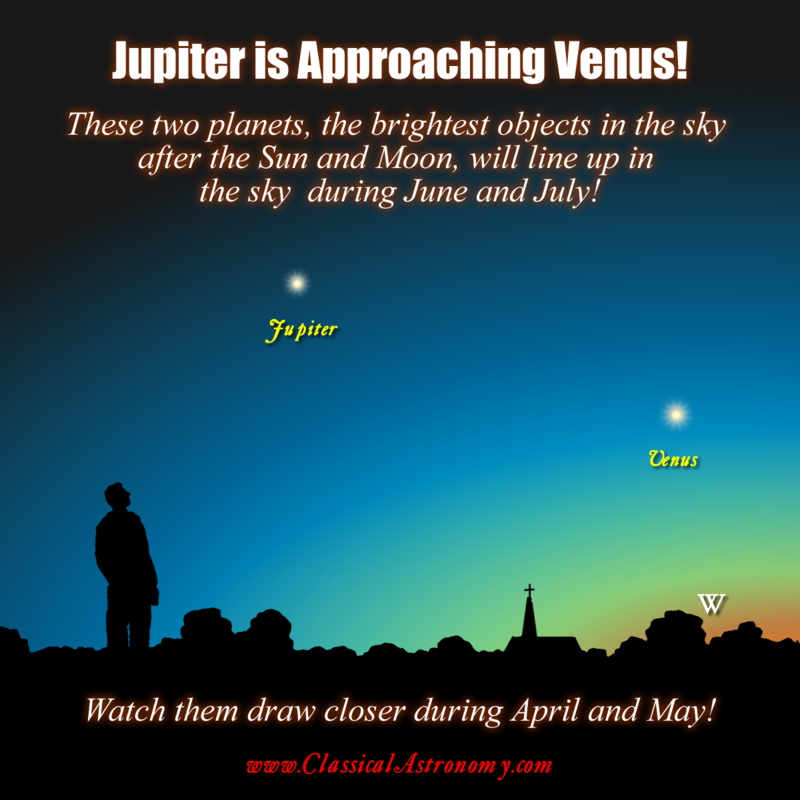 Watch Venus and Jupiter draw closer during April and May, and watch them line up during June! This promises to be a very interesting sight!